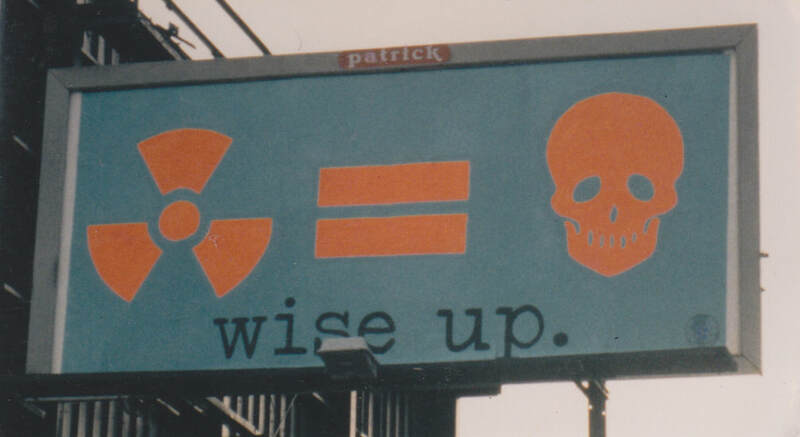 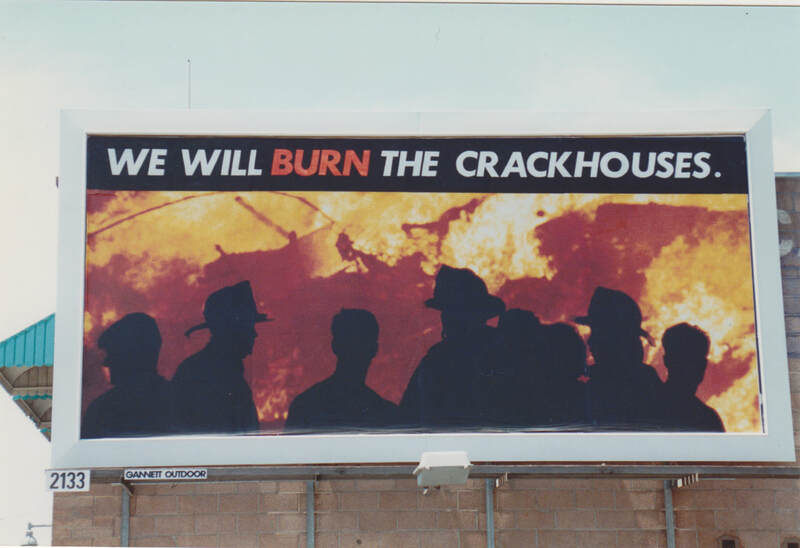 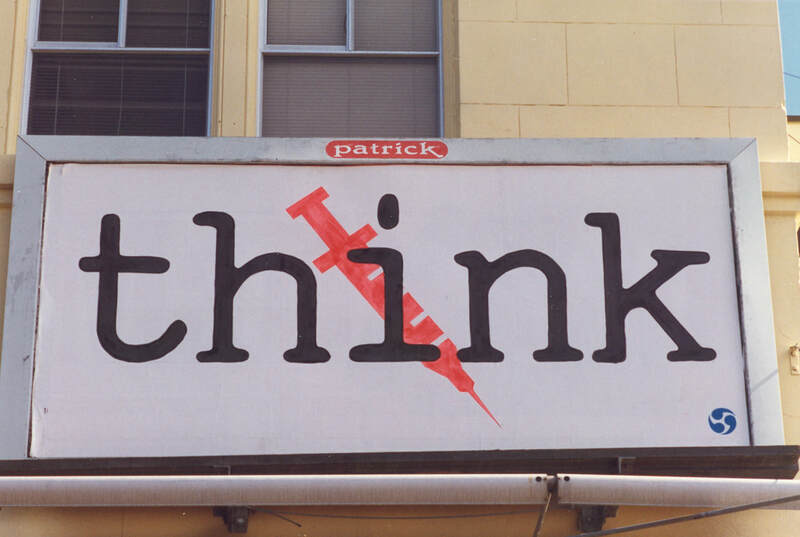 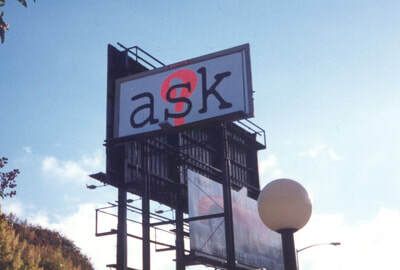 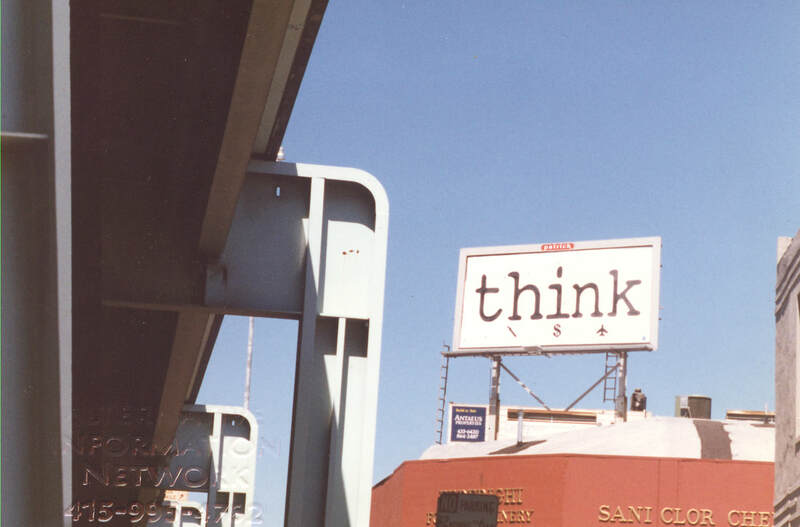 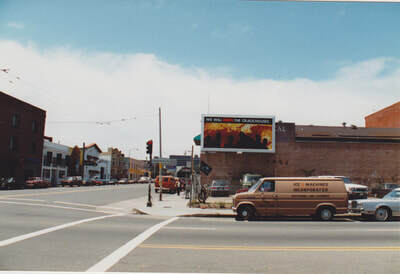 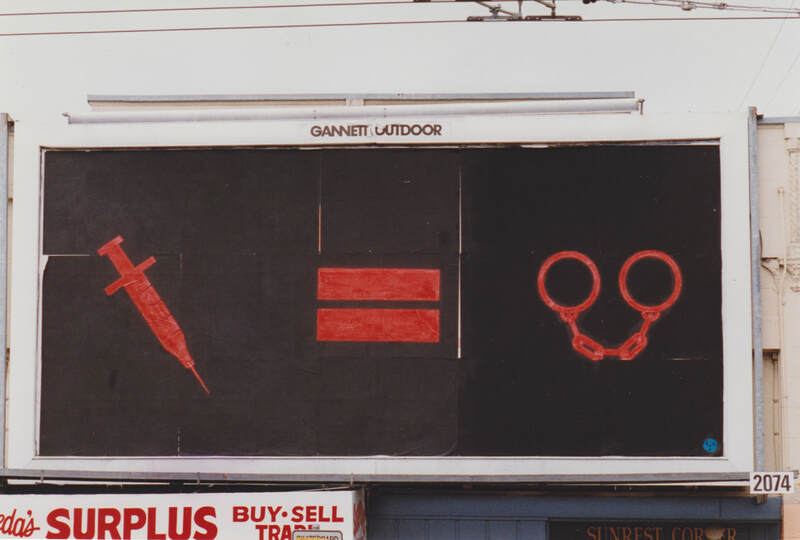 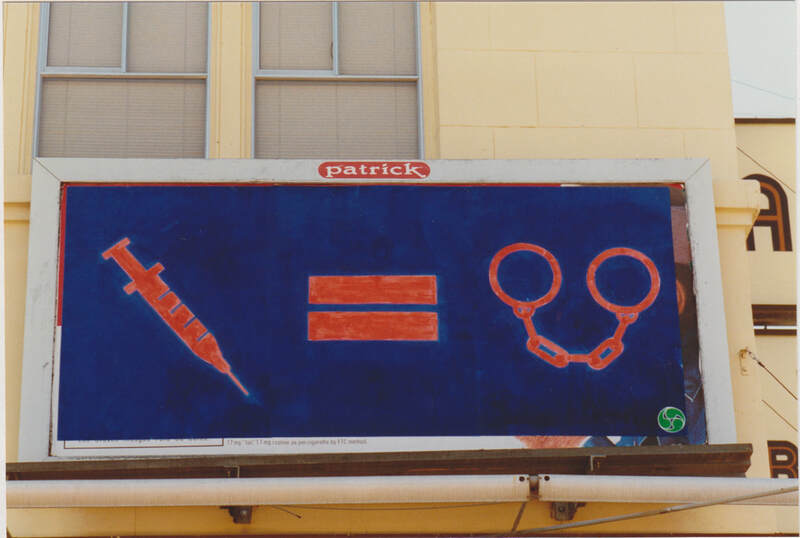 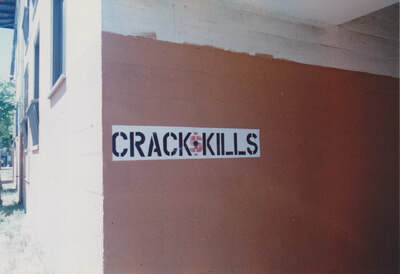 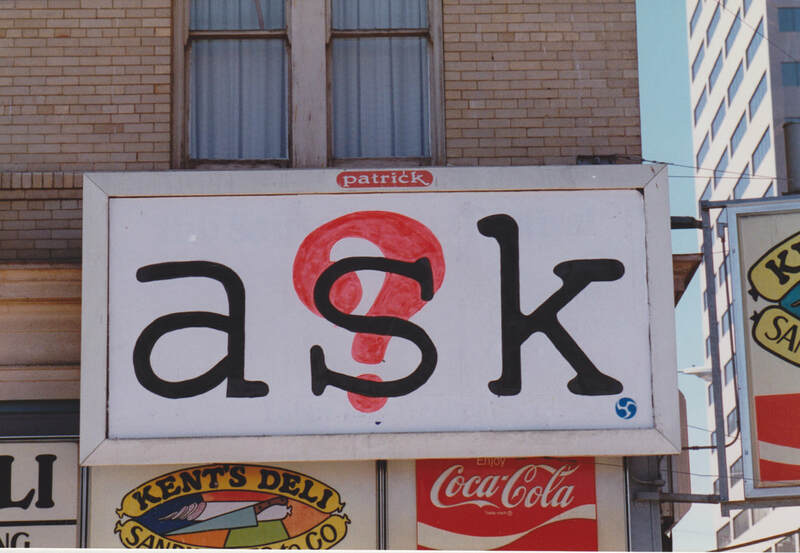 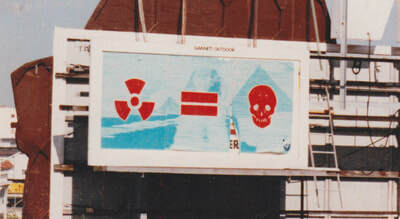 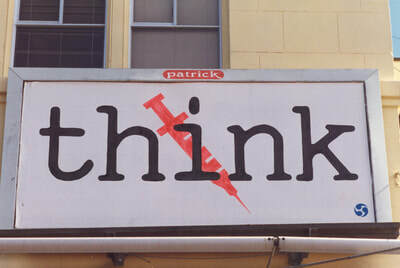 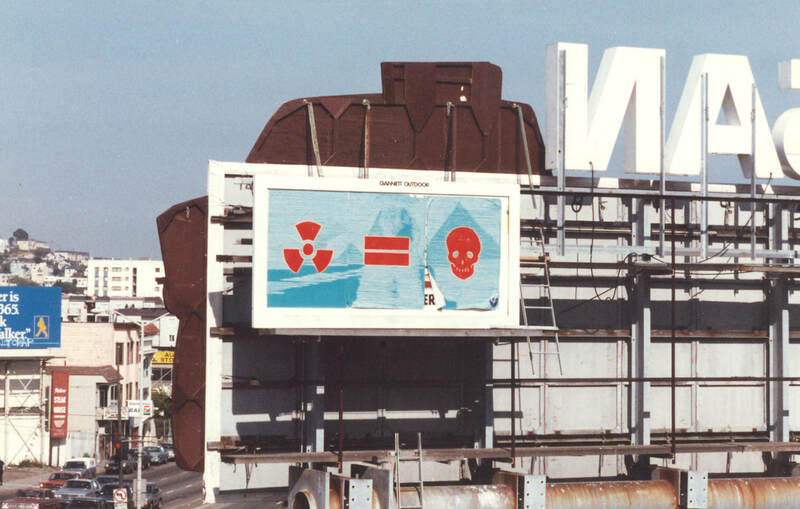 In the 90's I created a series of work directly on billboard paper and covered existing alcohol and tobacco billboards with my work. 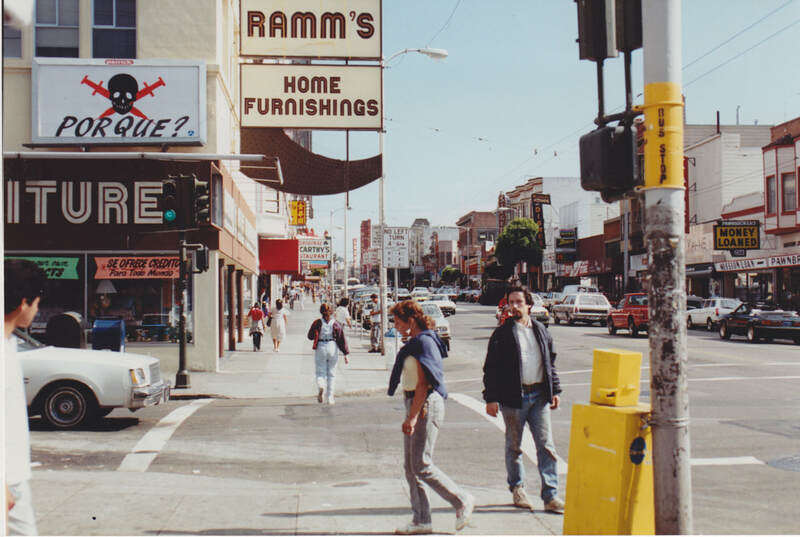 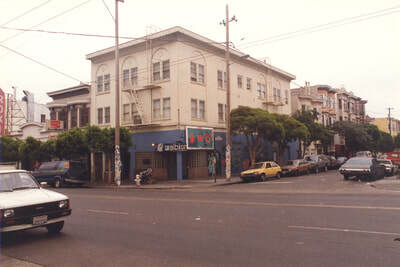 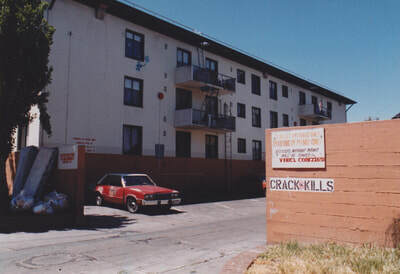 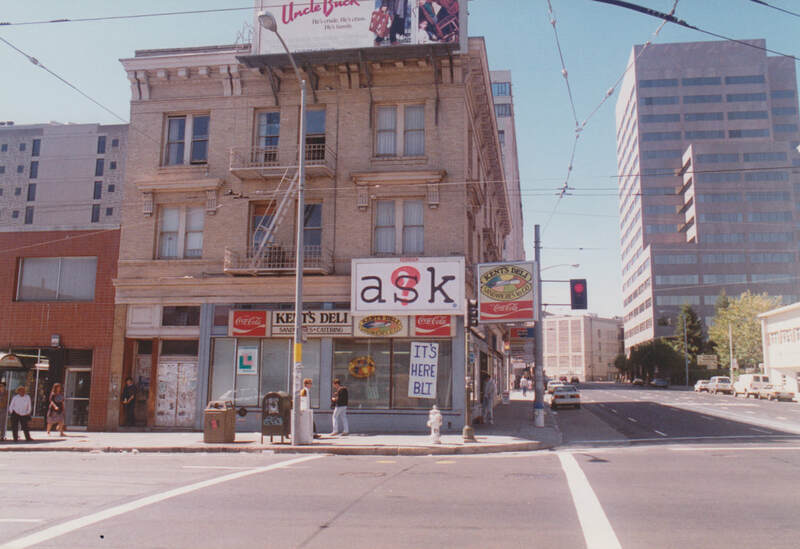 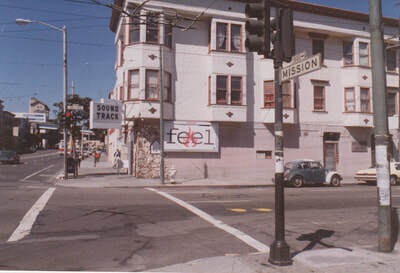 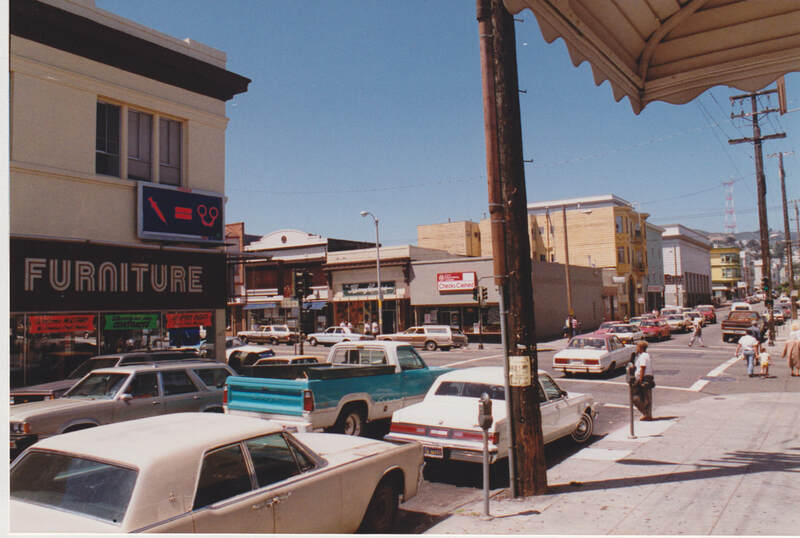 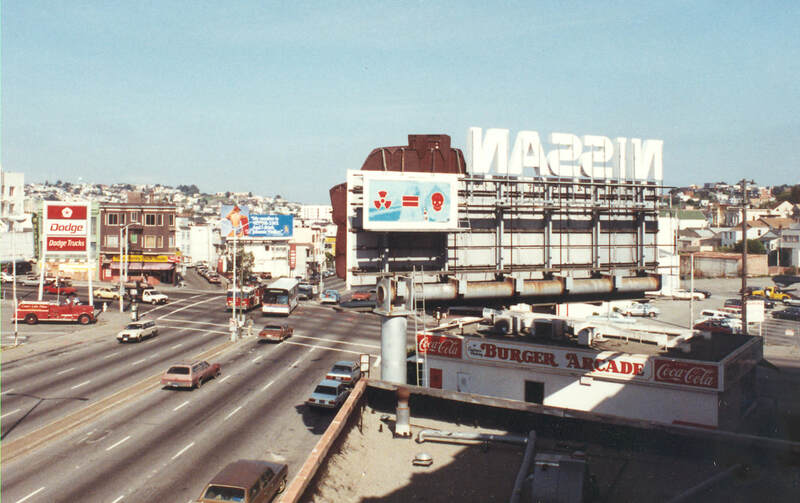 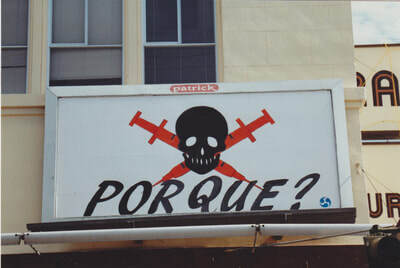 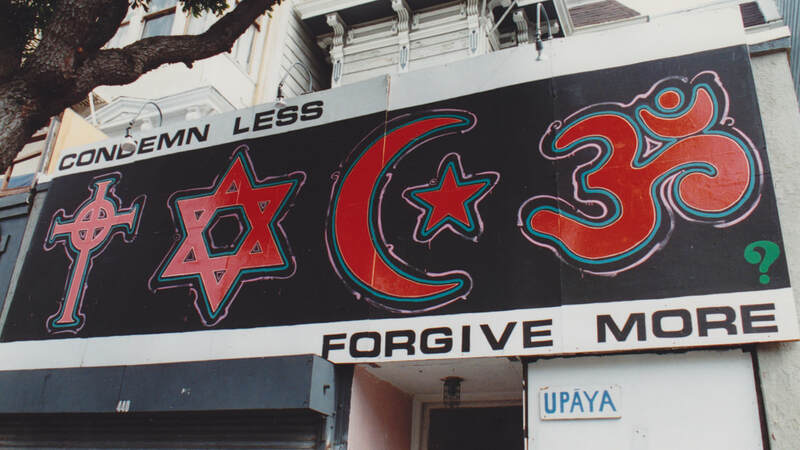 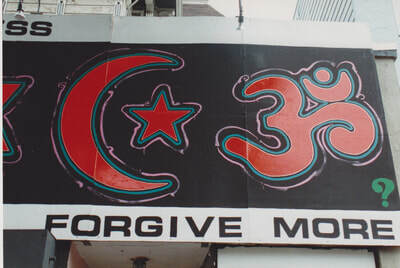 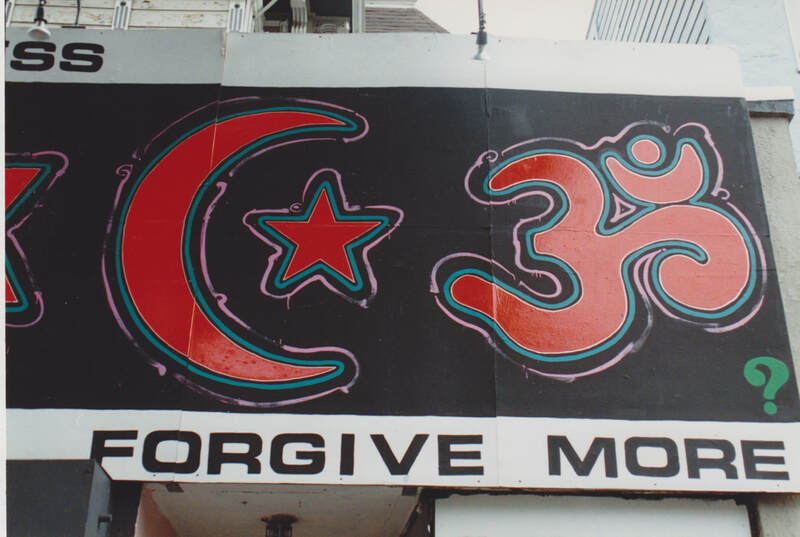 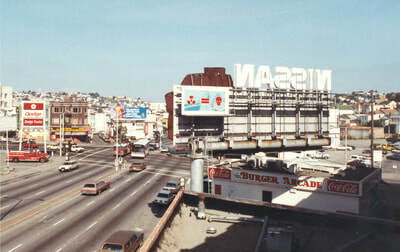 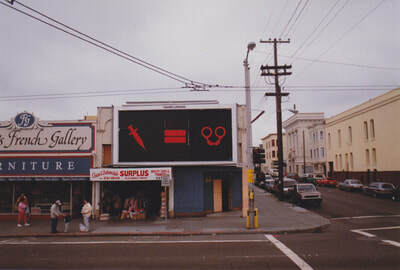 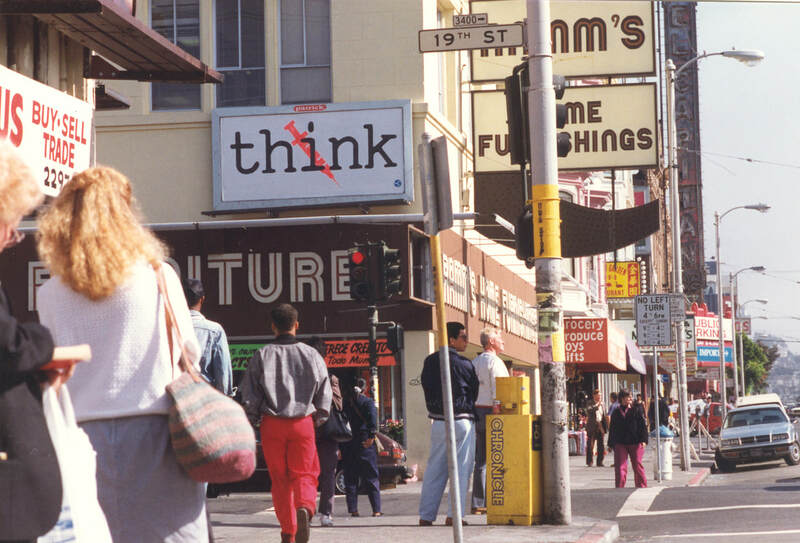 These were mostly in the Mission district and SOMA district in San Francisco, before it was gentrified. 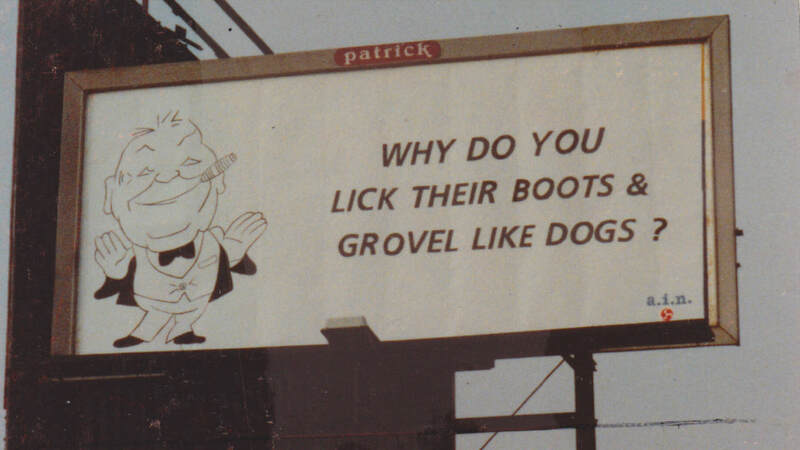 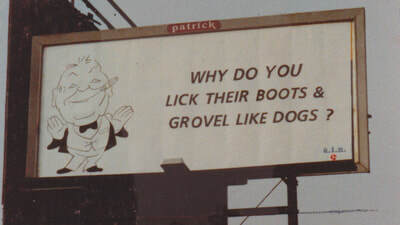 My intent was to subvert the billboard as an advertising medium and surprise viewers with an unexpected message. "Code of Honor" ; 1994; 72 x 240 inches; This was the window filler for my solo show at the Hatley-Martin Gallery , overlooking the Powell St. cable-car queue in downtown San Francisco. 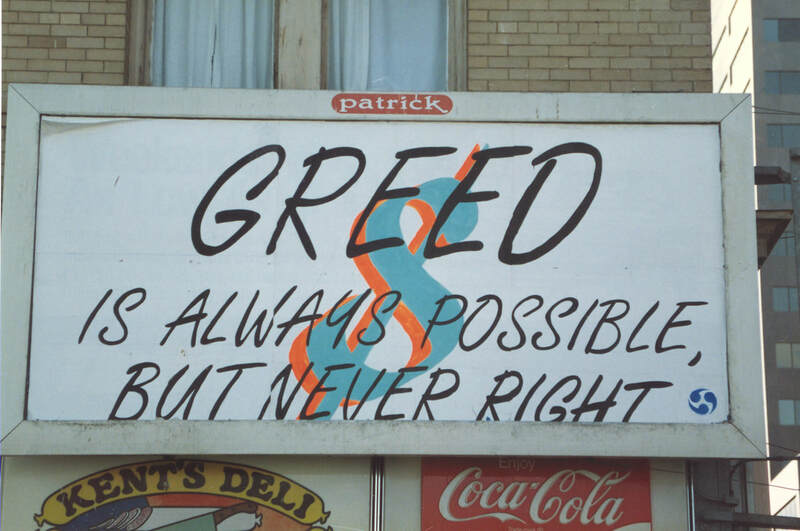 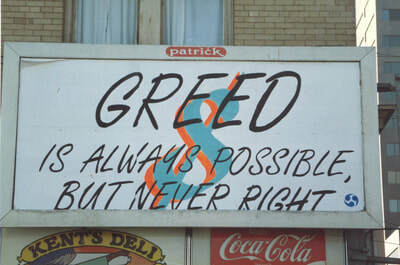 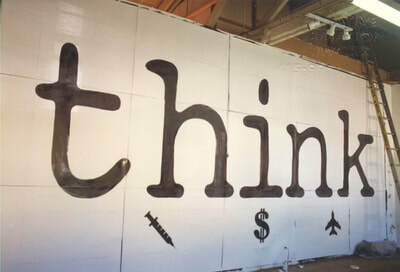 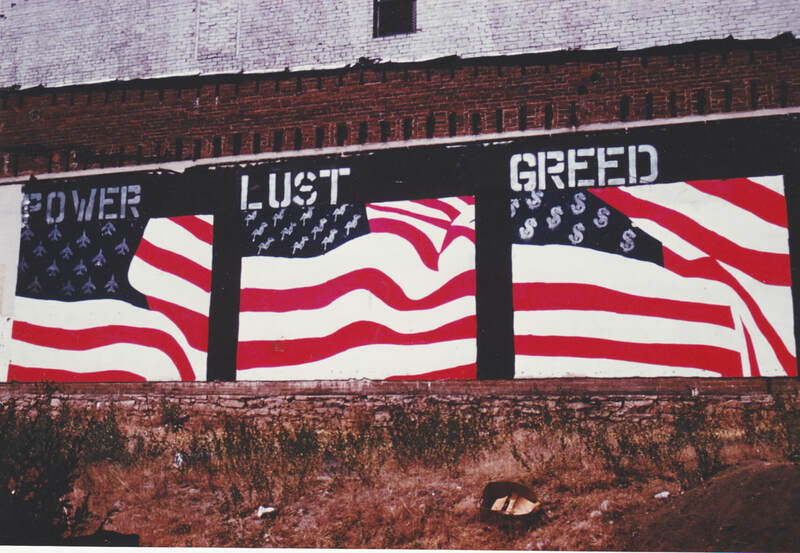 "Power; Lust; Greed"; 15'x24'; 1986 My first illegal outdoor mural, painted in a downtown alley in Boulder Colorado.